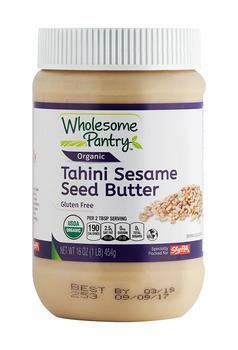 Wakefern Food is recalling a variety of Wholesome Pantry Organic nut butters that may be contaminated with Listeria monocytogenes. No illnesses related to the recall have been reported. The recalled products were sold in ShopRite, Price Rite Marketplace, The Fresh Grocer and Dearborn Market stores in New Jersey, New York, Pennsylvania, Connecticut, Maryland, Massachusetts, Delaware, Rhode Island and Virginia. Customers who purchased the recalled products should return them for an immediate refund or replacement. Consumers with questions may call (800) 746-7748 Monday-Friday from 8:00 am to 6:00 pm and weekends from 9:00 am to 5:00 pm.